Santa's Wild Ride is the slot game of choice for players at Ladbrokes Casino - now with 50 Free Spins! 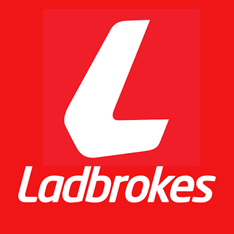 Ladbrokes Casino is a name that is tried and trusted in the world of online gaming. This exciting Microgaming-powered online casino is packed tight full of Christmas surprises. Indeed Ladbrokes was the first online casino out of the gates in anticipation of a fun-filled, jam-packed Xmas season. Players can set their stockings over their mantelpieces because Santa's Wild Ride is about to pay a house call! Some 550+ games adorn the Xmas-themed landscape at this show-stopping online gaming hub. It's never too early for Xmas cheer and Ladbrokes is ready to send Santa - gifts in tow - your way with plenty of big prizes and lucky spins. Starting on Tuesday, November 1st, there's going to be a sack full of goodies available for one and all. The enticing game - Santa's Wild Ride (a Microgaming crowd pleaser of note), features 243 action-packed ways to win and 5 spinning reels to get you there. And there's no deposit required at Ladbrokes Casino in order to qualify for this glittering 50 Free Spins offer. Christmas Comes Early with Big Bonus Offers! More good news is that all new players registering at Ladbrokes Casino stand to receive a whopping £500 Welcome Bonus for signing up. Top-tier titles at this ritzy gaming palace include Hellboy 5 reel slot, Mega Moolah, The Lord of the Rings Slot, Thunderstruck and Mermaids Millions Slot.